Some days being a journalist is the best job in the world. Like when an editor calls and says "Pack your bags, start training, you're going to the Haute Route" or when a publisher sends a new race kit covered with enough logos to make even me look Pro. Other days are not so fun, like when you have to spend money on equipment so you can suffer on the bike in crappy weather. For some folks, dropping a couple Benjamins on a foul weather jacket is no big deal, for a starving velo-journalist it's a big deal. That's a lot of Top Ramen. So, rather than take a leap of faith buying just any new jacket I'm test-driving a Gore One 1985 borrowed from my buddy Chris, he's a WMAMIL, Wealthy Middle Aged Man In Lycra, with all the latest gear. Marketing hyperbole says the Gore One 1985 is pretty much the best jacket on the planet, and since I ride all over the planet I figure it might be a perfect fit. 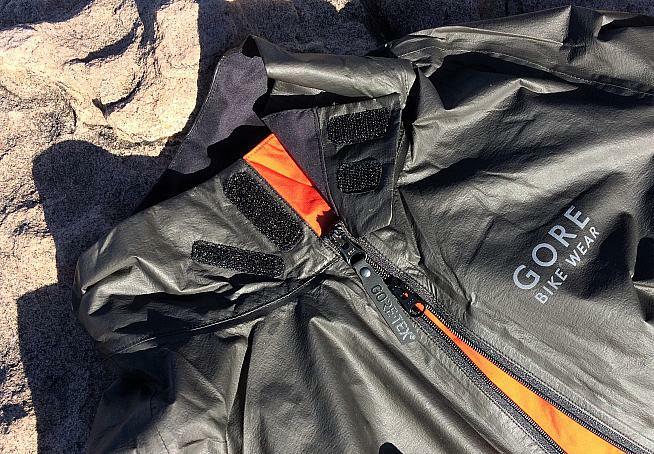 Developed by the same German folks who brought us the first GORE-TEX cycling jacket back in 1985, this new version eliminates the heavy shell layer, but retains all the über good properties. So, water & wind stay out, steamy sweat escapes, rolls up smaller than a thong and is insanely light. Perfect for bucket riding? I put it through The Bucket Rider 30-day stress test to find out. First, the tech specs: Waterproof/windproof/breathable paper-thin GORE-TEX SHAKEDRY fabric, 96-gram actual weight (SM), dual front zippers w/wind flap, rear pocket, tapered elastic cuffs, customizable collar fit, slim no flap cut, reflective accents, MSRP $300 and available in any color you want as long as it's black. 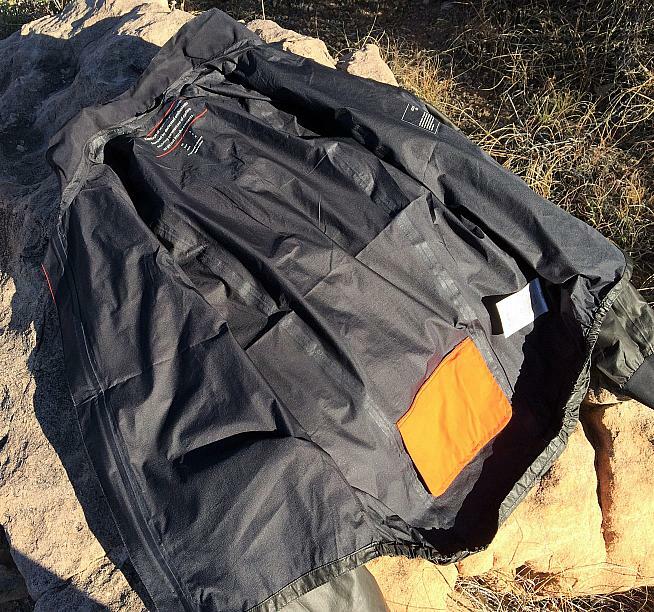 After 40+ hours of use in a wide variety of conditions including wind, sun, rain and temps from 20-65 degrees it's clear this jacket is highly breathable, more so than any other jacket I've owned. Most "waterproof" jackets keep water out but also turn the interior into a nasty hot high humidity greenhouse, especially if used as a wind jacket in warmer temps. Not so with the Gore One 1985. The interior remains dry whether hammering in the rain under storm clouds or pushing hard into a stiff wind on a sunny day. 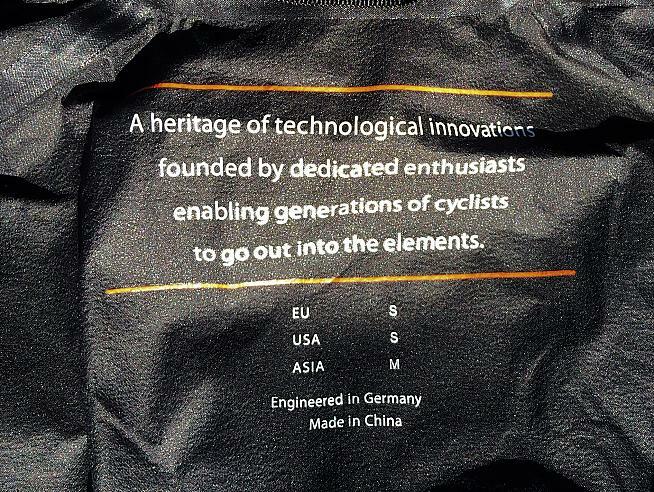 That's pretty amazing - one jacket that does it all. 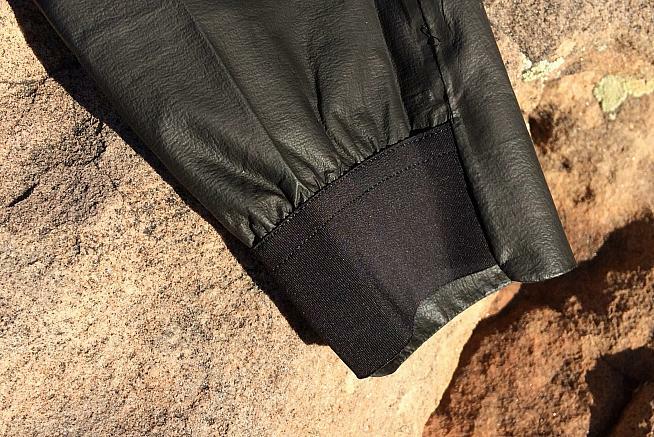 The fit and shape are more tapered than most jackets, making it virtually un-flappable so you don't sound like a whop-whop-whop helicopter while descending. I found myself wearing the jacket for hours without realizing it, sometimes starting out in the 20s and finishing near 60 degrees. With dual zippers adjusted at top and bottom I easily formed a chimney effect to create a comfortable operating temperature, making it perfect for mixed weather days. How does it fare in the rain? 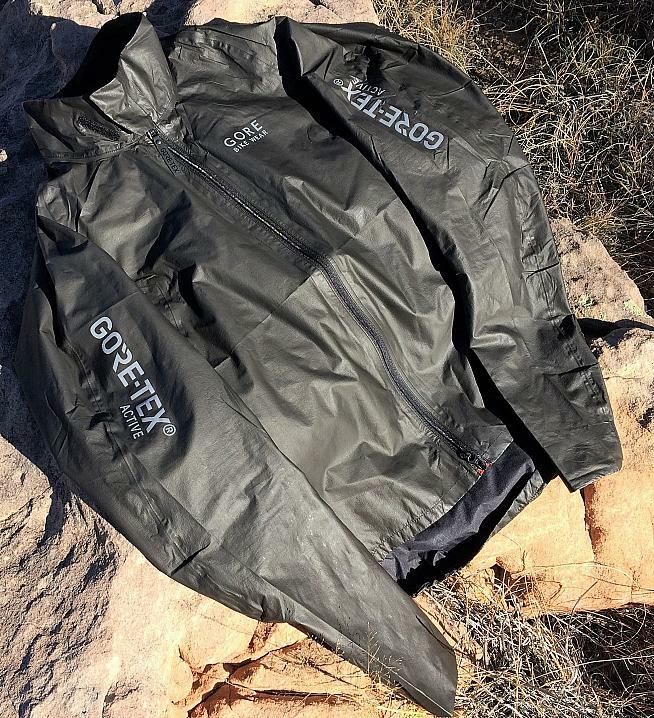 It's GORE-TEX, so it's waterproof. With custom fit collar, snug cuffs, interior zip flap and elastic waist it kept me dry during rain showers and while my wife hosed me off afterwards - I think she enjoyed it. Only discovered a few minor niggles. On occasion, the zipper gets caught on the interior flap and being black it shows dried spots of spittle and snot, sometimes looking like a disgusting piece of modern art after a ride. 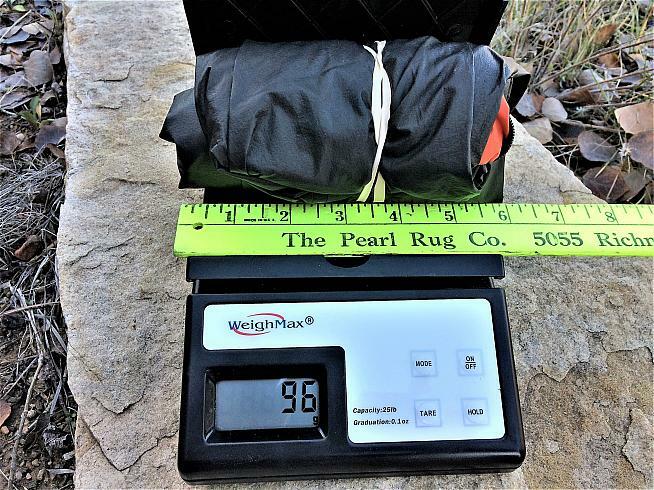 At 96 grams the jacket is insanely light and fits easily into any jersey pocket so you are prepared for whatever Mother Nature throws at you, or in other words it eliminates bad weather as an excuse not to ride. In the end, the Gore One 1985 is an indispensable must have bucket rider tool, right up there with a personal cryotherapy chamber. At only $300 though, it looks like a bargain compared to the cryotherapy chamber. Now I just need to figure out how to get one. Maybe Mrs. Claus will bring it - she did enjoy hosing me off.